The promise of precision medicine is becoming a reality as more doctors bring individualized therapies to the bedside. You or a family member could benefit if you suffer from illnesses such as cancer, heart disease, a rare undiagnosed disease or a genetics-based condition. Individualized medicine, also known as precision or personalized medicine, is the concept that prediction, diagnosis, treatment and, eventually, prevention, can be targeted to your individual needs based on your genetic profile, environment and lifestyle. *Note that this is not a comprehensive list of all patients who should seek individualized therapies. 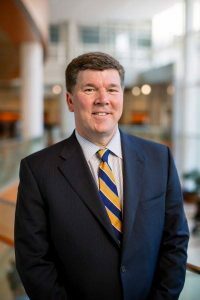 Dr. A. Keith Stewart is the Carlson Nelson Endowed Director, Center for Individualized Medicine; and Anna Maria and Vasek Polak Professor of Cancer Research, Division of Hematology-Oncology, Mayo Clinic.